Cannabis use while breastfeeding is a sensitive topic. Unfortunately, scientific research on the subject is just as split as public opinion. Cannabis use while breastfeeding is a touchy subject. Not only is breastfeeding itself often stigmatized but adding marijuana to the mix opens up another layer of heated debate. Unfortunately for moms, scientific research on the topic is just as split as public opinion. Regardless, if you’re an expecting mother, there are a few things you should know before you light up. Mother’s face a lot of pressure these days, especially new mothers and those with infants. When it comes to keeping your children happy, healthy, and thriving, it can seem like everyone has an opinion on what counts as appropriate care. This is particularly true for mother’s who have chosen to use cannabis during any portion of their pregnancy or while breastfeeding. Separate from the direct, chemical effects of marijuana on a baby, use of marijuana may affect a mother’s ability to be able to properly care for her baby. Maternal judgment may be impaired. The current political climate surrounding the plant limits research on the actual effects of marijuana on infants and fetal development. But, there’s no shortage of judgment on those who’ve opted to use cannabis as an alternative to other medicines during the pregnancy and breastfeeding. When it comes to the available research itself, the results are quite mixed. For the most part, the medical community warns against using marijuana while breastfeeding as the risks and their magnitude are mostly unknown. Much of the research that surrounds cannabis and pregnancy focuses the discussion on psychoactive THC. Very little has been done on the effects of non-psychoactive, high CBD strains and oils. This means that other than the intense stigma surrounding cannabis use and pregnancy, the actual effect of marijuana on breastfeeding infants is more or less mysterious. It may seem surprising, but there are actually a lot of cannabinoids present in breastmilk without smoking marijuana. Our own endocannabinoids, the compounds like THC that our bodies produce naturally, are passed along from mother to infant through breastfeeding. Most notably an endocannabinoid called 2-arachidonyl glycerol (2-AG), which activates the same cell receptors that THC does. These cannabinoids are actually key to keeping newborns alive. Research dating back to 2004 has shown that these compounds stimulate suckling among newborn mice.This could be because endocannabinoids help stimulate the tongue muscles. Researcher Ester Fride explained that the presence of these cannabinoids may help prevent a disease known as “non-organic failure to thrive”. 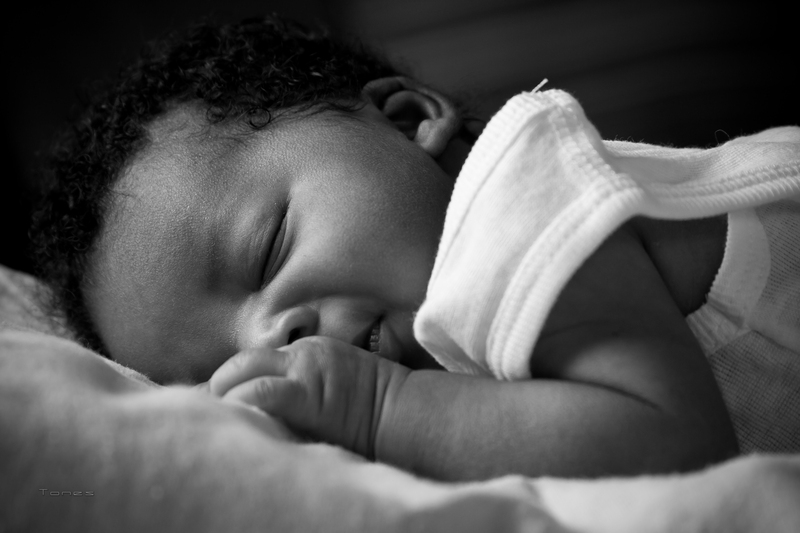 Failure to thrive happens a newborn baby cannot eat enough food in order to sustain itself. Fride has called these endocannabinoids “extremely vital for proper human development.” In some of Fride’s later work, she explains that endocannabinoids play a major role in fetal brain development. She discovered that these cannabinoids are altered when a pregnant mother is under stress. Fride’s findings show us that cannabinoids can have a major impact on developing babies. They also show us that these compounds play a much more complicated role in human development than we have previously expected. In certain medical instances, like failure to thrive, cannabinoids may prove to be a potential therapeutic target for treating the disease in the future. Can THC be passed on to the baby? Just as our natural endocannabinoids are passed on to babies via breastmilk, so is THC. THC is stored in fat, and breast milk contains an awful lot of it. In fact, in heavy marijuana users, there can be up to eight times more THC in breast milk than in the mother’s bloodstream. THC concentrations in milk were discovered via a 1982 study. The research found that moderate yet dose-dependant amounts of THC are passed along to nursing newborns when mothers use marijuana while breastfeeding. In moderate consumers, an average of 0.8% of a mother’s dose per her weight will be passed along to the baby via breast milk. With chronic use, THC can accumulate in human breast milk to high concentrations. Because a baby’s brain is still forming, THC could theoretically affect brain development. It is also important to avoid environmental exposure to maternal marijuana smoke. Nursing mothers should be referred to appropriate services for counseling. There’s also decent evidence that infants metabolize some of this THC. Though, the implications of metabolizing the compound are unknown. A literature review published in 2009 by the Journal of Toxicology explained that an infant will test positive for THC in its urine for 2-3 weeks after consuming breast milk from a cannabis consuming mother. One of the most commonly cited studies on marijuana and breastfeeding was published back in 1990. The study examined 136 infants, 68 of which had been exposed to marijuana via breast milk. The study found that infants that consumed trace amounts of THC in breast milk during their first month after being born showed decreased motor skills within the first year of age. Infants exposed to trace amounts of THC at the three-month mark rather than within the first month did not show decreased motor or cognitive skills. In summary, although marijuana exposure during lactation was associated with decreased infant motor development, this result should be interpreted cautiously due to the preliminary nature of this study. One cannot infer from the results presented here that marijuana exposure during lactation impairs motor development at one year of age, or that prenatal marijuana exposure does not impair motor development. Marijuana exposure during lactation seemed to be a better predictor of infant motor development, but that does not necessarily mean that the relationship is one of cause and effect. Yet, this review also highlighted the difficulty in efficiently studying marijuana use in breastfeeding mothers and stated that any results should be treated with caution. Though the above research has pointed out some potential major cons for using cannabis during pregnancy, other studies have suggested that cannabis use while breastfeeding has no apparent effects. Why this is the case is unknown, but it may be partly because young brains don’t process THC in the same way as adult brains. Research completed in 2004 by Ester Fride, mentioned earlier, proposed that children may be less sensitive to the psychoactive effects of THC. This is because cannabinoid receptors are not fully expressed in developing organisms. This fact led Fride to suggest that cannabinoids be tested as a potential treatment for certain pediatric diseases like cystic fibrosis. Of course, this argument is a slippery slope in regards to newborns and clinical trials are needed to determine whether or not this is accurate. A study lead by Katherine Tennes back in 1982 followed 756 women over the course of their pregnancy. Of that group, 34% were marijuana users. Tennes and her team used a wide variety of tests and questionnaires to weigh factors from everything such as birth weight, gestational age, to behavioral traits and daily healthcare routines. Children of mother’s who consumed marijuana during breastfeeding were evaluated. At one year of age, they were again evaluated Bayley Infant Scale of Mental and Motor Development and Behavior Checklist. Although evidence of effects on central nervous system functioning in the neonate are inconclusive and no convincing evidence of effects lasting until 1 year of age have been produced, the possibility of effects on more complex cognitive functioning which develops after infancy, particularly the acquisition of verbal learning, have not been addressed to date. Because breastfeeding can mitigate some of the effects of smoking and little evidence of serious infant harm has been seen, it appears preferable to encourage mothers who use marijuana to continue breastfeeding while minimizing infant exposure to marijuana smoke and reducing marijuana use. The available information on marijuana and breastfeeding leaves much to be desired. While studies have found that THC can be passed on to infants via breastmilk, the exact implications are yet to be determined. What we do know, however, is that there are many women out there who have used cannabis throughout their pregnancies in order to cope with issues like extreme morning sickness, stress, and mental health concerns. If you are a nasty critic you may be wondering how my ten-year-old son, product of my first pregnancy in which I chose cannabis over Phenergan and Zofran to treat hyperemesis gravidarum, turned out. I am proud to report this year he enters fifth grade and beginning his fifth school year as an HGT-identified (Highly Gifted and Talented) student. Hoch’s statement goes hand-in-hand with an undercited Jamaican study published in the early 1990s. While the study didn’t focus specifically on breastfeeding, the results found that there was no cognitive or motor difference between children from mothers who smoked marijuana and those who did not. What researchers did find, however, was that a child’s cognitive success depended heavily on their access to regular schooling and the presence of a cognitively stimulating environment. The study concluded when children were five-years-old and no follow-up has been done to test long-term effects of prenatal cannabis consumption. Women who consume cannabis while breastfeeding face considerable risks. Not necessarily from the effects of the herb itself (those are still largely undetermined), but from severe social judgment and from harsh legal repercussions. Hoch explains that immediately after the birth of her daughter, both she and her newborn were immediately drug tested and had a confrontation with social services. Back in 2014, Oregon mother Crystal Cain was forced to sign a waiver stating that she understood the risks of breastfeeding while using medical marijuana before she was allowed to take her newborn home. Though the health risks of breastfeeding while using marijuana are ambiguous, mothers who choose to medicate with the herb have to jump through hoops in order to find effective, natural relief for pre and post-delivery conditions. If there’s one thing to take away from this article, it’s that there is a huge research gap when it comes to understanding marijuana’s effect on developing brains. 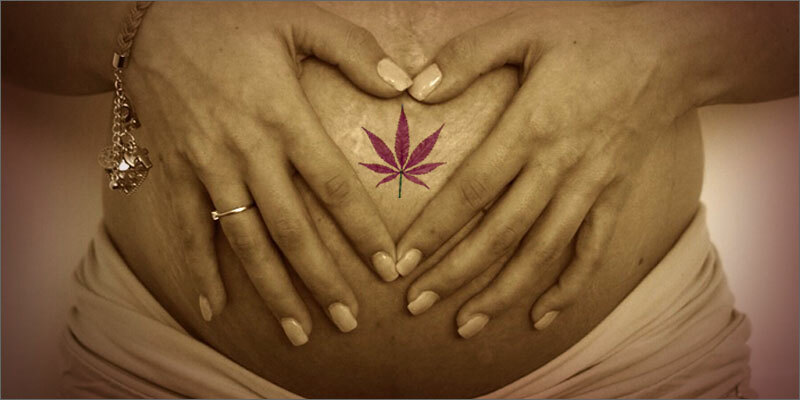 Many women use cannabis preparations to manage severe symptoms both during and post pregnancy. Yet, when it comes down to the science, very little is known about what long-term impact the plant has on infants. Right now, anecdotal evidence is mostly at odds with what little research is available. But, we won’t have any firm answers until the medical community is legally allowed to study the marijuana plant in clinical trials. What do you think about marijuana and breastfeeding? Is it worth the risk? Share your thoughts with us on social media or in the comments section below.